I've been using a really flimsy messenger bag to hold my camera for the last month. I was planning on waiting until next month to purchase it when I was in NYC. Fearing I would scratch my camera up or worse break it between now an then I went ahead and ordered one. After looking at many camera bags I finally decided one by Crumpler called 5 Million Dollar Home. 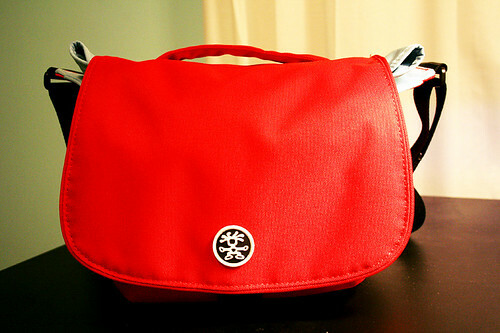 For a stylish camera bag it was pretty inexpensive ($74). I was pleasantly surprised how fast their free shipping was too, I ordered it Monday morning and got it Thursday.